We’ve got it! Quality, affordable WoodTurning blanks for your special projects. WoodTurning Blanks 4 U is the site you will bookmark for all your wood turning needs. Do you want your finished woodturning project to be a one of a kind masterpiece? 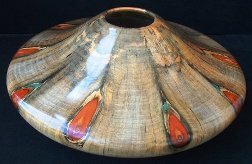 The quality of the wood turning blank that you begin with insures that you will end up with a finished product fit to place in a gallery, home or office. View our wide variety of turning woods offered as bowl blanks and spindle blanks. We are now carrying supplies needed by wood turners. 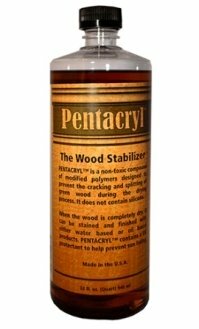 Pentacryl Wood Stabilizer, End Grain Sealer and Odies Wood Finish are now available online. 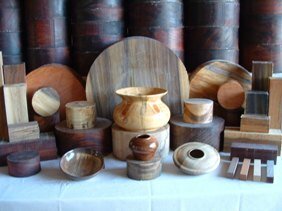 Remember the woodturner in your life with one of our gift certificates. They can be ordered in any dollar amount that you would like. This is a great gift idea that they would be sure to love. You can reach us at 941-746-8695 EST to order your certificates. Our woodturning ideas and tips are filled with useful, hands-on knowledge that will help you to be turning like a pro in no time or hone your already professional skills. Read about our helpful tips on turning Norfolk Island Pine. Whether you are just a beginner or have been turning for years, the information on this website will be of benefit. Let our years of experience assist you in your selection of woodturning tools, lathe and chuck products. Visit our wood turning tool link to read informative articles on some woodturning tools that I use. We can be reached at 941-746-8695 Eastern Standard Time, hours 8 am to 7 pm.